Gurgaon, the cyber sensation is a well-planned smart city having all the unique lifestyle which are hard to find anywhere in the country. The city enhances its ambience to optimize high-quality lifestyle. It is a wonderful place of modern living and a perfect destination for a comfortable and sophisticated lifestyle. Gurgaon is strategically planned in a manner to provide all the luxury resources, well-developed infrastructure, seamless connectivity, utmost greeneries in the form of wonderful parks, gardens, golf courses etc. Life is amazing here and very much similar to what most of us watch in their dreams. It has been considered as one of the most developed commercial regions in the whole NCR and is the most prestigious living hub in the country. You can experience here a serene environment and its excellent accessibility to the private and public transport system is very smooth, rapid and quick. 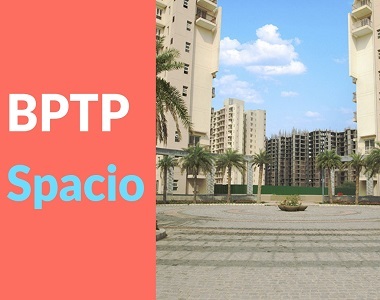 With read-to-move-in marvellous 2 and 3 BHK luxury apartments, BPTP Spacio is welcoming the homebuyers in Gurgaon to have a look at the serene beauty of this marvellous development. Available in different sizes, these sophisticated living spaces have different carpet areas varying from 1000 sq. ft. to 1800 sq. ft. All the Vaastu homes are eco-friendly and designed with finely crafted interiors which provide spectacular and gorgeous looks for every user. All the modern apartments are well-ventilated and provide spectacular views of landscape areas from their wide windows and spacious balconies. 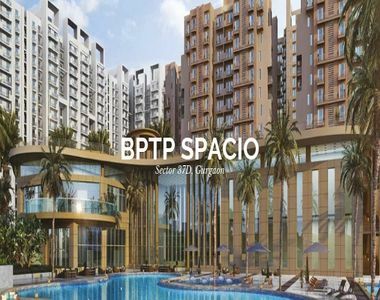 Homebuyers can feel here the experience of smooth travelling as the BPTP Spacio Gurgaon is surrounded with several major roads, highways and expressways. Utility places like schools, colleges, hospitals, cinema halls, shopping malls, restaurants etc. are available at a walking distance from this township which makes life more easy and comfortable here. One of the great features that make this township special is its wonderful amenity section which includes the luxury elements like tennis and basketball courts, kids’ play area, meditation centre, clubhouse, multipurpose hall, swimming pool, video security, car parking, lifts and a lot more. 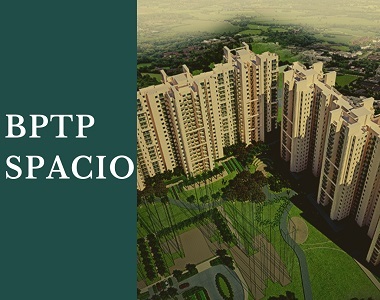 While considering the BPTP Spacio Price, it is very reasonable and genuine and ranging from Rs. 45 lakhs to Rs. 77.40 lakhs.